What a whirlwind life is! What a blessing to have a three year old and a five year old. What a blessing to have a job that keeps you traveling. In September I have been to Chicago, Atlanta, Nashville, soccer games every Monday, Thursday and Saturday and dance every Tuesday. It’s a busy life and it’s a short life. The days are long but the years are short. Don’t remember which patient told me that when she saw my pregnant belly six years ago but that might have been the truest statement I have ever heard. Although I might not have set aside time to blog in September I definitely set aside time to try out some new products and for the first time in a while I have noticed a significant change in my skin so I HAD to share with you! These have been my recent game changers. Accumax. I am someone with acne prone skin. God given acne prone skin. Girl, I’m in Dermatology and ain’t nobody in derm got time for acne, nobody! I use my retinol like I use toothpaste-never forget. This month I added Jane Iredales supplement Accumax 2 pills in the AM and 2 at night and it has changed my acne game. 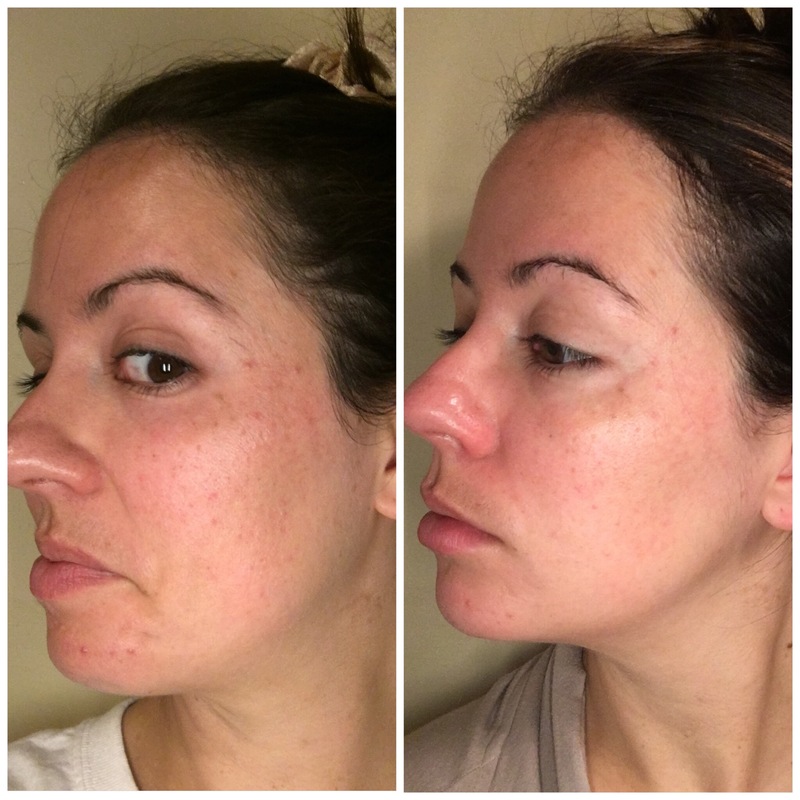 My skin is overall smoother and much less prone to acne. Highly recommend. Not an antibiotic, safe as long as not pregnant. Colorscience total eye. Now it’s thick. If you don’t use concealer this may not be your bestie. But if you use eye cream and concealer you can now put those in one step. It has the best applicator that cools the undereyes in the AM and wakes you up. It’s has sunscreen to protect too! It’s a 3 in 1 product and is my new go-to everyday during my get ready routine. Check out the details on our product highlights on IG. Lumivive. It’s the newest product from SkinMedica. It’s a two product packaged deal. There is a day and a night. The day protects you from blue light and considering that’s what comes off your iPad and phones if you’re reading this you need it. It’s very thin so you won’t feel like you’re adding a product but your skin will be happier and in turn I got a new glow up! The night helps restore your skin as you sleep. This allows your current products to be amped up. When I started accumax I got a little peely, red and inflamed. I started the Lumivive and it restored my skin to a very happy place. After a month of use my skin is glowing like never before AND I know I’m a step ahead of all my friends. I know that in 10 years when I go to my high school reunion they will all be 10 years of blue light protection behind me. So my skin will be healthier appearing. They will have brown spots and wrinkles that I won’t. We all know it’s a competition for who has the best skin and I’m in it to win it! If you feel like your skin regimen needs a pick me up then try Lumivive. It won’t disappoint. Here is my one month change in my skin, always getting better! One step closer to aging backwards! Want to age backwards with me? E-mail brooke@johnsondermatology.com for a free consult and to learn more about my September Favs and more! Obvs this is my bathroom selfie and not a professional before and after but WOW! Some of you may not know that we have an in house lab at Johnson Dermatology. We have a board certified dermatopathologist, Dr. Amy Hudson right here at JD. That may not sound like a big deal but she is one of only five in the entire state of Arkansas! That’s the type of specialized care you get at JD right here in the River Valley. One of our awesome lab team members Beth might be who processes your skin sample if you have a biopsy at Johnson Dermatology. I can only imagine that looking at pieces of skin cancer all day would enhance your motivation to wear sunscreen. Beth has become a sunscreen expert over her four years at Johnson Dermatology and she wanted to share that knowledge with you. Knowledge is power. Let her give you the power to keep your skin young and beautiful! Being quite pale, sunscreen has always been a staple in my outdoor life. As a child, I was envious of my siblings who were allowed to continue swimming past the one hour mark while I had to move to the shade, dry off, reapply and wait fifteen minutes. Despite my parents and my own vigilance against the sun, my father and I spent a lot of time applying cold Aloe Vera to each other’s sun burns (I inherited his skin tone). Even into adulthood, I kept sunscreen in my purse, car, and backpack at college, pretty much anywhere I could possibly have need of it. I also avoided sun exposure of more than fifteen minutes (I will burn in that time), because honestly sunburns hurt. When I began working at JD, my eyes were opened to a whole new reason to avoid sunburns, skin cancer. I had heard of skin cancer before. I knew it was a possibility, my grandmother had it when I was younger. I even accepted that I would probably have it at some point in time. What I didn’t understand was how serious it could be. Research shows that as few as five blistering sunburns in your lifetime double a person’s risk of melanoma, the worst kind of skin cancer. But getting any sunburn as little as every two years can triple your risk of getting skin cancer. That’s not just the blistering ones, that’s if you just turn a little pink. I cannot count the times I have been burnt in my lifetime. So knowing that I have a high probability of getting skin cancer at some point, I made it my goal to protect my children to the best of my ability. I learned a lot about what I had been doing wrong. Did you know that sunscreens expire? My grandmother had a pool in her backyard, and I know we just used whatever sunscreen we could find that hadn’t dried up. This meant digging through the medicine cabinet to find a bottle stashed behind five years’ worth of old pills. When we went fishing, we grabbed the pink bottle of Coppertone baby that had been under the seat for years. How many sunburns did I get because we were using a sunscreen that was well past the three year mark? Well not anymore. Now I buy new sunscreen every year just to be safe. Did you know that sunscreen left in the heat doesn’t work as well? Heat degrades the components of sunscreen much faster than if they are left at room temperature. That sunscreen that I left in my car thinking I was being smart, it probably wasn’t protecting me as well as I thought it was. If sunscreen is separated, meaning it has a watery layer to it, you most likely need a new one. The sunscreen in the boat definitely wasn’t working. Now I have a bottle in the house to apply before we leave for a day in the sun and one that I carry in my purse or the diaper bag for reapplication. If they separate out, I throw them away. Did you know you can get cancer in your ear? My parents were always reminding me to get the backs of my ears when I applied sunscreen, but never once did I slather it around inside my ear. Working in the laboratory at JD, I see cancers from all over the body. I was shocked when I began to see multiple cancers from inside the ear, not just the outer rim. I was even more shocked when I started seeing how much had to be cut out on ear cancers. Entire chunks down to or even through the cartilage sometimes have to be removed to clear the cancer. If my fingers can reach it, there is sunscreen on it. Did you know that your hair may not protect your head from the sun? I have always had really thick hair so I never thought about this, but when my daughter was born I could see her scalp. Now you’re probably saying no duh, and yes I knew babies start out with thin hair, but if I could see her scalp so could the sun. I had to rub sunscreen into her scalp through her hair. It gave her a very funny hairdo and didn’t want to wash out, but at least I felt she was protected. I even started wearing hats to keep the sun from burning my scalp where my own hair parts. I now no longer envy my siblings ability to tan. In fact they are quite tired of me nagging them to wear sunscreen. So that’s what I’ve learned about sunscreen since working at Johnson Dermatology. Hopefully it will help you better protect yourself and your family.